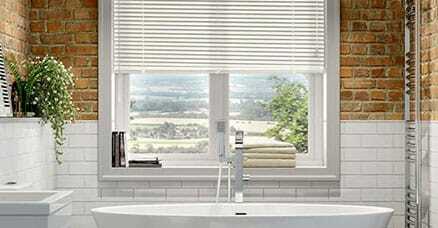 Polyester roller blinds are perfect for most bathrooms. The moisture just slides off plus they make your space private and light. 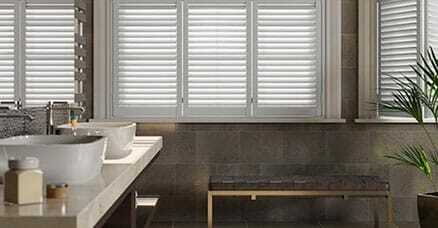 Wood Impressions blinds will never warp and are great for humid spaces. They also let in lots of light while keeping your privacy. 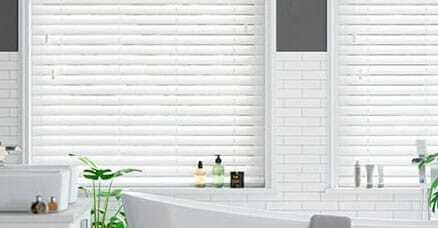 Ocean PVC rollers are just what you need for windows next to the shower. 100% waterproof, they're blackout too for privacy and protection. 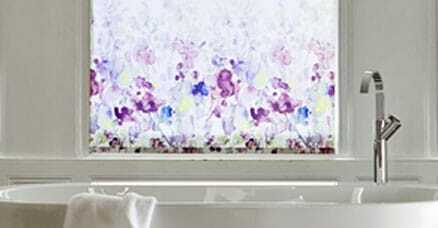 Blackout rollers are water resistant like standard rollers but give complete privacy morning, noon and night. 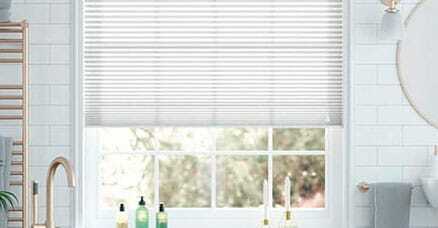 Duo blinds trap the heat to keep even the coldest bathrooms feeling toasty. 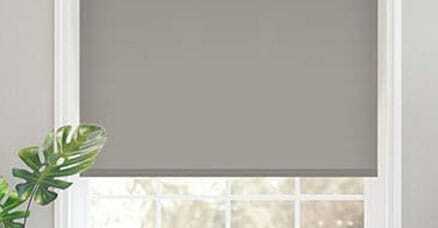 Choose Duoshade for best insulation and blackout privacy or Duolight for softly filtered light all day long. Aluminium venetian blinds won't rust so they're perfect for adding a drop of colour to your bathroom as well as allowing you to control privacy and light. delivery was quick, e-mails clear and helpful and all measurements were correct. My blind arrived on schedule and I was very pleased with it. Good experience all round. easy to order , extremely quick delivery, brilliant. Great stuff, easy to order and no problems.